Great location to build a new business or to use as is; close to tc and m-22. Two separate parcels being sold as one with 290' frontage on cherry bend totaling 1.71 acres. Zoned residential and/or light commercial (c-3). There is a small house that could be used as an office or for residential rental income. A framed greenhouse and a separate garage are all on the same lot (190 x 235) with two potential driveways off cherry bend. 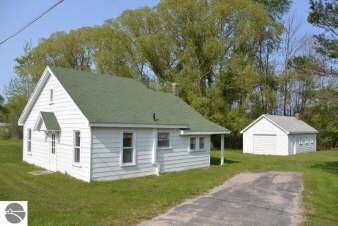 The adjoining vacant parcel is 100x236 and has a 3rd driveway available.